Specification:polished, Flammed, Brushed, Honed Filled. Tile Size (mm): 305x305, 305x610, 610x610 mm & other sizes on demand. We excel in manufacturing and supplying a wide range of Rosy Pink Granite Tiles. These are exclusively designed and developed as per international industrial standards. Owing to its optimum quality, durability and attractiveness, these Rosy Pink Granite Tiles are extensively demanded by various clients. available in the form of attractive slabs and tiles and are widely demanded by various industries. Our range of tiles is efficiently polished, beveled and calibrated and is widely demanded in the market. 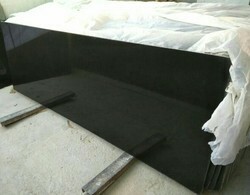 Granite is a very hard and dense natural stone. The name is driven from a latin word "granum", meaning 'a grain' and corresponds to its texture.